prosperity and well being for you and your family. happiness in your life ! Have a Happy Makar Sankranti ! moments of amusement and happiness. !!! 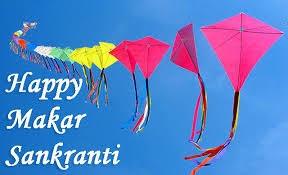 Happy Makar Sankranti !!! aaj hum chalein chat ki aur. Makar sankranti ki subhkamnaye ! With Rays of Joys & Hope.. Wish You & your Family..
Just like kits that dot the sky.